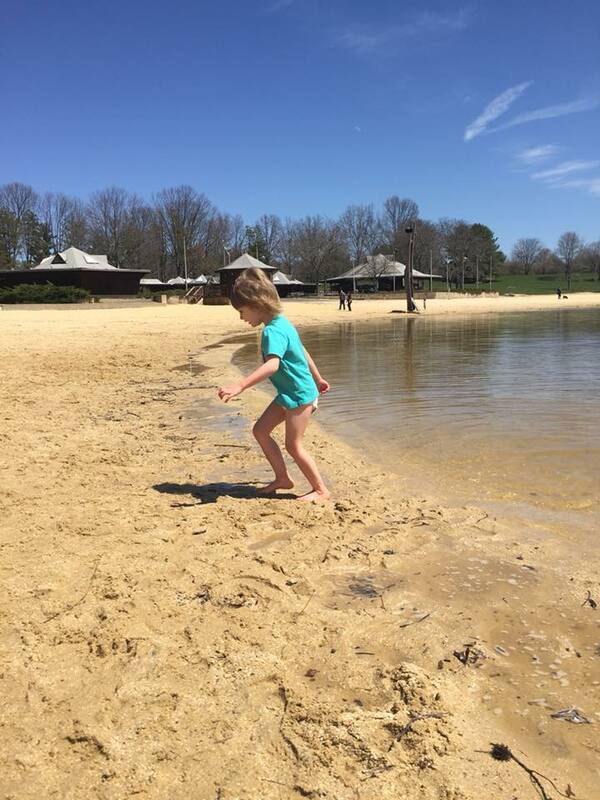 Today marks the end of Autism Awareness Month but reality is, most are aware of autism and for some, autism pervasively impacts most of our lives. I try to put autism in its "box" and realize that it is simply a piece of our family but reality is, that piece is the center of our story, for now. You see, years ago, when April was ending, I would pat myself on the back for smiling at a mom struggling with a child during a meltdown or simply sending a check to an autism organization to help with support of families who are living with a disability I really didn't understand but thought I knew. Today, autism impacts my life. Daily. Hourly. Sometimes each moment as I plan, prepare and execute life living with a preschooler walking the journey of life with this disability herself. I won't pretend that I think autism itself is a gift. Its not. Its incredibly challenging. Its overwhelming and its sometimes downright awful. That being said, autism has also taught me more in its two years invading our home than anything else I have ever lived through. You see, today, this picture popped up and it reminded me of the life I had before and how the small potatoes seemed to be mountains I couldn't climb but today those small potatoes are in perspective and I am also more aware that my struggles are no where near the struggles that others face. In the last two years, I have witnessed more in my family than I ever thought possible. There have been sleepless nights, highlights and a growth in each of my children than I never expected. I will never say that autism is a gift. I will always lament what it took away but I will try to find the silver lining in its purpose in our lives. Today, I watch as my children are more compassionate, more aware, more understanding and I think it probably wouldn't have happened without this journey. 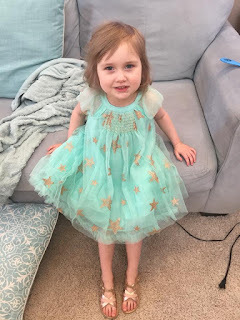 I think about the emails I get and the fact that many people have said how Seraphina has taught them, how my blog posts though somewhat raw and unnerving are real and teach others to try to understand. As this month of "Autism Awareness" ends, I ask you to begin writing another chapter. We know you are all aware but what can you do to be more understanding, more empathetic, more accepting of children who are not typical or adults for that matter. Today, Seraphina is still cute, still endearing, still able to tug the heartstrings of all those she meets but one day, one day soon, she will be older, bigger, stronger and then, yes then, she will still need support, understanding and acceptance perhaps even more so than today. It was a rough morning. Recently I talked about the "eggshell effect" and today was one of those days. At first it seemed reasonable to hope the morning would be peaceful and effortless. Her little body slid in next to me under the warmth of the comforter and she smiled as we asked her about her night. Beginning the morning with questions can be hit or miss, especially since she considers this a "demand" She answered though. She didn't know how she slept but told us of her dream of dancing with her special person. I smiled as she gabbed about dance shoes and her special person and then it happened, as quickly as her little body slipped under the covers, the peace she felt escaped, she became rigid and you could feel the tension build and it began, she ran, first to her room and then as she tore through drawers looking for a specific dress I did everything I could do to stay calm. I stayed calm melt down after melt down and lost count. First the dress, then the pants, the socks, breakfast, vitamins, drinks, a clean diaper. Shoes. The backpack. It continued like nails on a chalkboard. As I dropped her off I realized I was so stressed her coat sat at home, and though I would like to say that I didn't worry what the school thought, I did. Where was her coat? I promised to return. As I drove, I called my dad. He told me how she would grow out of it, that he couldn't imagine a 12 year old melting like she does. The hair pulling, the kicking, the pinching, her grinding her teeth, pushing her forehead into mine. I began to imagine it. As I did, I realized that we can "hope" she will grow out of it, but reality is, her tantrums are getting worse. She will self harm and it hurts. To witness, to think about, to recall. I think about a 12 year old, emotions, hormones and I am exhausted just imagining. This. This is the reason I fight for the therapies she needs because without the right therapies she will have these melt downs. She will continue. She will suffer and likely we will too. I think about companies that choose to say that autism is an educational disorder and realize that in itself is a disordered thinking. This isn't just educational, it carries over into each moment of each day. I want to believe it will get better but every time we take two steps forward, we take three back and I wonder if it really will get better? This morning as I messaged a woman who chose this path, I admitted it out loud, I was created for this. I was created not to have babies, be a mom, marry my husband but to fight for what these kids need, to speak up when its not easy or cool, when its scary, when I fear what could happen but what could happen for my child and children to come pushes all that fear aside, and so I fight because perhaps what my dad said will be true, "it will get better". As we near the end of Autism Awareness month, I urge you to change your thoughts to "Autism Acceptance and Understanding". Only when we begin to accept the unique differences this disability brings to our world and try to understand it will it get better. Yesterday we packed up and headed out. Well, I did. I packed up my two middles and headed out and had this nagging feeling about my middle child's basketball games. I hate when "momtuition" is right but I was so on target that last night I tossed and turned and couldn't figure out how to make it right. So today. I sent my husband. I will be frank, we have had ups and downs since this diagnosis and until I had him step up and step in with Seraphina I don't think he quite understood what we were dealing with however now, he does. Still, I knew today, he had to go out and about and the break that I truly needed was being at home. Colin has always worked to give me a "break". I LOVE working with kids and so I will volunteer to do it any time, but when my middle child sat with tears streaming down her face saying she wished her coach had said one positive thing to one of her teammates, I knew I needed dad to step up because if I went back, it wouldn't have worked out well. Instead, today, it was perfect. There were a few meltdowns (or near meltdowns), there were moments no parents want to struggle with, but there were also moments of beauty. With just two kids, how life seemed so much easier and with two kids and a mom of a child who gets special needs by your side, the day just flows. You see, I have a village. I have a few VERY close friends. Its taken years to build those friendships but I also have one friend I met last year. Last October. We are SO different but we get each other and I would do anything for her kids and I know she would do anything for mine. So today, while dad went to take in the middle girls, I was at home with the littles and it was perfect. I got the housework done, I got the kids out and we even got some treats. I also realized that sometimes when you think you are doing it right, there is actually a better reason to do it differently. And so, we will. We will make some changes, re-evaluate, reassess. And hopefully there will be more perfect days ahead. I have said it time and time again, I was not sure what God had in store for me after having children. I knew how to carry babies, birth them and care for them. Its all I knew since "retiring" after the birth of my first colicky baby in 2005. I have said the tables have been flipped upside down and instead of choosing the path I want to follow, I have been placed on a path I never wanted to know and yet, here I sit. Today, I got up, got dressed and plugged in an address in my iPhone. I wasn't sure where exactly I was going but I knew the destination. Congressman Josh Gottenheimer's office. I was going. I was speaking and I was hopeful that with support from our representatives that perhaps, we could make a difference, for Seraphina for other children and for the mother years to come that sits in that office as the diagnosis of "autism" is stated out loud perhaps confirming one of their greatest fears. This is the face of that mom. The one who drove home, face buried in her hands full expecting and anticipating that the company her husband worked for would provide for her child because, in reality "she did everything right". I did what I was supposed to do to get myself in a position where I would see gifts yet those gifts weren't ones that came unwrapped and today I am still slowly unwrapping those gifts, in discerning who I am, in understanding who my daughter is and in choosing who we are going to be as a family. Today as I got up, I prayed. I asked God to give me strength, to help me pursue justice and to provide reasoning and truth to why we need to make change. Currently under the ERISA Act of 1974 (before I was born), self funded insurance programs do not have to adhere to mandates such as New Jersey law that was put into place in 2009. My daughter, my beautiful child, born into this world, falls into the category of a child untouched by the benefits that could be afforded to her. Why? It is the choice of the company. I still remember the day we drove home from the Neurodevelopmental Pediatrician (say that 5x fast), it was sunny but inside I felt like storm cloud. My insides burned with searing pain, much like the pain you feel when you learn of the death of a loved one, and on that day, there was a death. The death of my beautiful daughter whom two years prior I welcomed into my arms under the brightest of sun and on one of the hottest of days, you see, the child I dreamed she was was snatched and the reality of a life riddled with disability was not weighing heavily on my shoulders. I have gone up and down, living and reliving the diagnosis, living and reliving the path I took but one day stands out, the one when I called my insurance company and learned that no, they did not cover autism and legally, no they did not have to do so. Since that time I have worked. Tirelessly. I have gone and furthered my education taking classes to understand ABA Therapy. 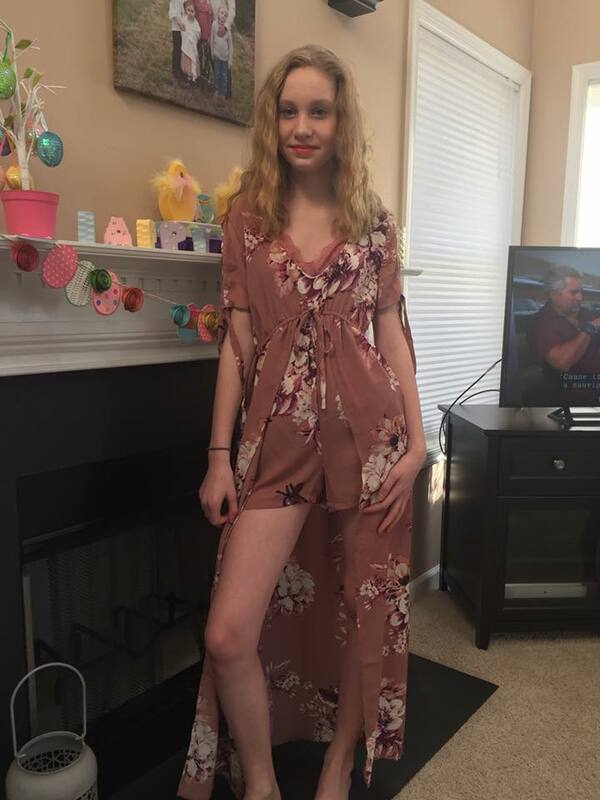 I have read books and practiced and fought for her to have the best our school can offer, and I believe our school is listening but school aside, they cannot do it without me because the American Academy of Pediatrics recommends 25-40 hours of ABA therapy and they can't possibly give her than and she deserves more. She also deserves to be able to go to the doctor once a year to be re-evaluated, to be identified in any additional areas that she is lacking and to be provided the best possible medical and educational care to help her grow into the success she can be. No parent plans to have a child with a disability. I have never once heard a mother or father state, when I have a child I hope they are disabled, but truth of the matter is, there is a club, its a club that none of us expected to be in but we will be in it because we are supporting the people that we love most in life. So today, on the day after the passing of a woman whom I admire, I plugged that address in, dressed in business attire and drove the three hours (total) to talk, for 15 minutes about making change. I want my daughter and other children like her to get the care they deserve, not just for them, their siblings or for their parents but also for our tax payers, to keep them from paying unnecessary disability costs for children who may not need it if given the best therapy possible. Most importantly I don't want a mom to feel what I did when I curled in a fetal position praying that my child wasn't "really" disabled and that therapy could help and hearing that her disability wasn't covered because honestly, they just didn't have to cover it. I walked in, I talked. I shared the power point I created and I was heard. There is more to do. I came home with homework. I started on that homework. Emails sent. Calls made. Tonight I sit and think about wording about who to reach out to next and about my next meeting next week. Today I began writing a new chapter. I never intended to write this and I certainly can't do it alone but I believe with the right people and enough time, we can make a difference and so today, I pledge to Seraphina and others who came before her or will follow her path, that I will work. For them. For always. She is my why and I will never give up. They are all complex, they are all creatures continuing to be molded as we as individuals grow and morph into who we are intended to be. I won't pretend I get it. My family? Its a conglomeration of parents, biological, in laws, etc...in fact if you looked at it, most likely you would gasp and probably run the other way but those pieces, those individual groups make up who I am. I don't promise to be perfect or nearly perfect in fact, but I promise to be honest, opaque and present. This weekend has been amazing. Its been full of games. Lacrosse games that is and of course family board games and card games and dance classes. Grandad s here, you see, its been forever since we have seen him and the hours we have spend have been nothing short of wonderful. Yes, my friends will tell you for a week I washed cabinets, a few walls and yes, those pesky baseboards. Having company means a lot. Living far from family means when they "stop by" it too hours. By plane or by car and Grandad came over from England....so that counts as by plane on a LOOOOOONG trip to see his Grandkids. I shopped. It was nearly 11 p.m. on Thursday when I arrived home but I continued the mantra in my head, we do this to serve others and I feel so good serving him. You see, Grandad and I don't know each other as well as I would like to but I do know that he is warm, loving and kind. I also know that HE is one of the greatest advocates for kiddos with special needs. He in fact worked in this area long before his Seraphina bore the distinction of "autistic". I can recall his most tender moments, on Christmas dealing with a patient that needed support and then again when my own father had a stroke, though thin, he held me and promised to be there for me always. I want my kids to know that. I want them to know family. You see, out here, they watch. They see, family and I sit and I wish and I want....family. My parents come almost monthly trying to create that but honestly, its not the same. I have enjoyed catering to him, creating a meal that surrounded his own childhood and upbringing and making sure that he had a little piece of his "own home" and that my children connected with him on his own home back in England. I am lucky, this is "home" I have so many people I can turn to, that support me, that love my kids but still, I long for family. I watch as families line the sidelines at games and wish that there was more than my own immediate family cheering on my children. I too want to know my nephews and niece. I wan them to know me too and how much I love and pray for them. I don't know where this visit has taken us, but I know its got me longing to have the family I know my children deserve. Thank you Grandad, for flying hours, sitting at games in the heat and following us around stores as our kids counted change to buy their own goodies. Its been a great weekend and I can only hope in weeks or months time you will return with Grandy by your side. Yesterday I spent a couple of hours at my children's elementary school. School has always been where I felt called but honestly, after some stress in school I switched my major and regret that decision more than any other decision in my life. As I walked in to the walls, the florescent lights and cheery disposition of the office staff made me want to pull up a chair and stay and when a child thought I worked there, I felt honored. Yesterday was yet another meeting, about our Seraphina. One may have no idea the time and talent it takes to create a program that is specific to your special needs child. Its teems of people that create this team, in fact I am currently waiting on boxes of stuff to make end of the year gifts because honestly there are so many people I am thankful for in her academic life. Last year when I left, often my head would smack the steering wheel and I would lament the disability my daughter has, honestly this journey has taught me more in four years than any of my other children combined. I would be hard pressed to say I ever read my insurance coverage, researched state and federal laws and began to understand my rights as a parent and my child's rights as a student and in the last year I have also developed my own way of walking with the school. Upon diagnosis I got a lot of advice. I took it seriously and tried to emulate what others who went before me told me was best. Don't show all your cards at once, be careful what you share and always think they aren't telling you something. I will be honest, those words still sit in my mind but I have created what works for me and the feelings I have when leaving a meeting are those of empowerment, understanding and hope much different from the combative, desperate emotions that flooded my car a year ago. I will say a lot has changed at school in the last year too. I won't say its because of me but I will say I am vocal when things aren't right or are VERY wrong. Our school, our district, listens. I will share what I believe. I believe that EVERY employee in our school wants what is best for children. Truly. I believe that for me, being open allows for a more transparent relationship. I believe sharing concerns directly, immediately is better than allowing issues to fester and reach levels of havoc and heartbreak that continue to vibrate for months to come. I believe that I am working to create the best learning environment for my child. I believe that I could NEVER be able to give your child what is best because YOU know your children best. I believe that though educators are well educated and many have experience, living life with a special needs child versus teaching a child with special needs is no comparison. I believe that due to our Government, our Administrators hands are tied. I believe that due to the situations that have preceded our tenure in a school (any school) laws and rules have changed out of concern for a repeat situation and that this can be negative for all those who are living this journey now as each journey is unique. I believe that each day is a new page in this journey. 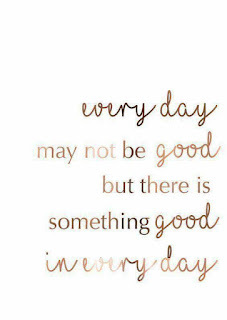 As I read today, "every day may not be good but there is something good in every day". Yesterday I was asked how to describe my daughter and began with broad characteristics. She's sweet and loving, cuddly and fun, she dislikes any demands placed on her. She can be a pip that is overtaken by outside sounds, smells and situations and I continued to think and more words came to my mind however one summed it up. Complex. My daughter is complex. I believe that if you allow me as her mom to share with you all about her, and you provide the necessary educational supports in school we can create a team that allows her to flourish. The way "I do school" and "what I believe" isn't what all parents of special needs kids believe or can even "do" because each child is so different, each school is so different....but its what I have learned works for me and honestly I hope that it continues to work for me because I like building this team...I think my team for my child is amazing. Not like Nike but I have been fairly quiet in my fight against insurance for Seraphina but today I had my Social Evaluation for her at school. I love our school but that is for another post. I will say however that they motivate me to try harder, push further and get to where I can for my child and other children like her. After our meeting, I sent a few emails. Some were local and others reached just a bit further. It always surprises me when I share our lack of support from insurance and have seen people nearly fall over when I tell them that my husbands company sees autism as an educational issue. I will let her know as she's melting down at home next time that she has to save that for in school. So today I made some calls too. The first was to Exxon, that poor Human Resources chick has to regret EVER giving me permission to call her but it is Autism Awareness month. She did suggest that they are aware of the rumblings of the need for coverage but also indicated I am the ONLY parent who has reached out to her. Why are we so quiet? I get part of it is fear but honestly, this isn't just about my child but all children and not just children but our society's future. If my child had a disease that needed treatment that was medicinal I would fight for that too. She encouraged me but said emailing insurance wouldn't help. Its an internal issue but you see, for every day that goes by my child and other children are not getting what they need and DESERVE. Then I called Aetna. That woman got the wrath of Ellie and not many have gotten that but she did tell me I was doing what I could for my child and she was sorry. She is also sending it up the line to a Customer Liaison. Why have I never heard of that in my 50,000 calls to them prior to today? So now I wait. They have 24-48 business hours to call me back. I was once promised a call back from them before, in December. I'd be dead if I held my breath. Finally, I made another call, right before 5 p.m. and there was still someone at Michael Doherty's office. She may have been the most helpful I have talked to yet. Not only did she give me names, she gave me numbers and emails of everyone I should talk to about this issue and told me how to request meetings with those who could make an impact. I didn't catch her name but I am grateful. So tonight, I composed that letter....and sent it off. I don't know if any of them will read it but I do know I promised my daughter I would keep fighting for her. Always. So I will. On behalf of myself and many parents struggling to make life comfortable for and with a child on the autism spectrum, I am coming forth to request a meeting in person to identify a major lack in services for those who are insured but under insured due to the laws that govern our nation. Applied Behavioral Analysis is the only proven effective therapy for autism spectrum disorder. In conjunction with a team of educators, therapists and willing families, with ABA, a child on the spectrum has the opportunity to go further, reach higher and find more success. We have seen this personally with my daughter, Seraphina. Our district has been proactive in providing her with 2.5 hours of ABA Therapy each morning in school as well as an additional 2 hours of in home therapy services where we work to help Seraphina find success. The American Academy of Pediatrics recommends that a child on the spectrum receive 25-40 hours of ABA therapy a week to obtain the full benefit of the therapy. While we are grateful to the district for their concern and desire to promote both academic success as well as social and emotional growth, it is obvious to me that autism is not just an academic issue but also an issue of both medical and emotional health. 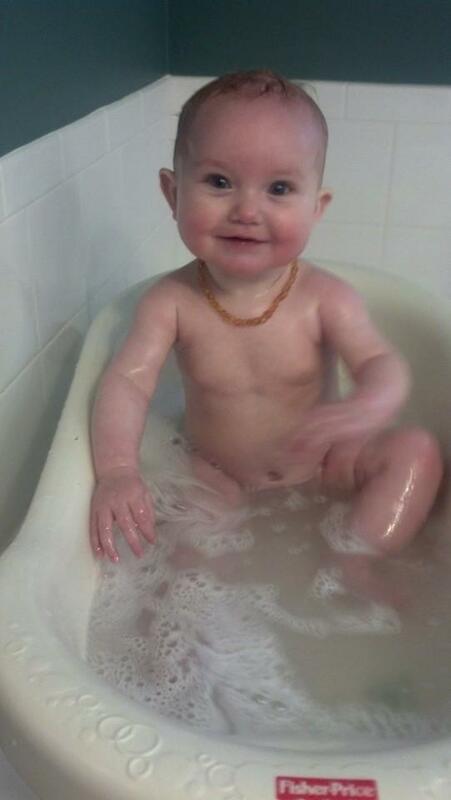 In 2013, Seraphina was born and developed typically until she didn’t at 15 months of age. It was at that time we identified that Seraphina had lags. 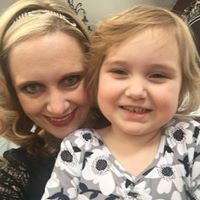 When she was finally formally diagnosed in May of 2016, it was a shock to learn that my husbands employer, Exxon Mobil did not have to provide any therapy services through our insurance. It was in fact explained to me by a woman in Houston that Exxon viewed autism as an “educational issue”. With the significant increase in diagnoses of autism, it is imperative that we as a society work together to provide these children the best opportunity to develop into adults who have the capability to be successful. I have spoken to Human Resources a number of times as well as our insurance provider, Aetna and have been shocked to continuously be told “no”. While New Jersey has laws in place that work to benefit students in our state, the federal law supersedes that ofour state. This allows Exxon to pick and choose what neurological disabilities they wish to cover as well as certain medical issues that arise. I believe that Autism is going to change the way our nation works and it is best if we begin to make sure that we have the correct infrastructure in place to provide opportunities for success for each child living with this disability. I wish to speak with you on behalf of my daughter Seraphina, who deserves just as much as her peers who are able to receive benefits daily through their parents’ insurance. Sadly, there are many of us who are insured and are still unable to provide the necessary treatment for our children. I compare it to a parent who cannot provide their child life saving medical treatment because their insurance “chooses not to cover it”. I look forward to hearing from you and thank you for your time and consideration in this month. April is not just Autism Awareness it needs to be Autism Acceptance Month. My dream is much simpler than that of Martin Luther King Jr. but if he can accomplish what he did, perhaps, if I dig in, put my mind to it and go for it, I can make a difference. If not for my own child, one day for another child or a mother who hears those words "your child has autism". Today we packed up and visited my husband's work. He's been there for nearly 8 years and was recruited out of his doctoral program from Michigan State. We did what we were "supposed" to do. We got married--albeit young but we got married, had kids and continued our journey through graduate school. Fast forward, we had a child, Seraphina, who has changed our world and when I heard her diagnosis, I assumed, working for Exxon that we would find our insurance benefits would support her diagnosis as it was in fact, medical. I was shocked and dumbfounded when I called after hearing her diagnosis that no therapies were covered. Though she had been diagnosed young, though I had fought for her diagnosis, just like everyone said, when Early Intervention from the state ended on her third birthday, she would only receive services through school. I was certain I misunderstood making call after call to Aetna and to Exxon. I cried. I sobbed and I sat, shaken. The physician recommended ABA Therapy with a minimum of 25 hours a week. With no insurance, there was going to be no ABA, at all. When I share this news with others, even those in the organization they are just as shocked as I am. Today in fact, at our Easter Egg Hunt, a volunteer said I must have it wrong. Her words were "how can we support drug rehabilitation but not disability?" I hadn't thought of it that way and I can't say as I have walked in the shoes needing that therapy but why would the therapy my daughter needs be any less valuable? They deem it to be an educational disability. They say its not medical. I wish they were here when she is writing in pain because she has been over stimulated. I wish they were here when I had to try and explain she can't eat something because it will make her ill or if they were here when I try to talk to her and she scripts Daniel Tiger or Pinkalicious until I walk away, hands thrown in the air understanding that right now I just won't understand. I have spent hours on the phone. I have spent hours writing, reading, researching and so far, I have been denied. For her. For other kids. I have spoken to our physician's office who says we are not alone and some of the parents hearing diagnosis' from Exxon aren't strong enough to fight because just getting through their day is a fight enough. So I have a dream. I have a dream that I will be able to make an impact, that my daughter, like friends children will receive the therapy she needs to progress, as she should be able to. It is noted that children who are successful with ABA therapy will go further in their development even with autism spectrum disorder. I want that for her. I want that for all children born to employees at my husbands work. They deserve it. My husband works hard. He puts in hours, travels and is often absent to give the company what it needs so I wonder, how can this dream become a reality and how can I get them to provide the same type of effort to those kids who live with autism as they expect from their employees each day? One day, I hope I am able to blog to tell you about how Exxon chooses to provide ABA, OT, Speech or even PT. One day, I hope when a parent hears that their child has Autism Spectrum Disorder and through tears they don't hear what I did..."I hope she gets better soon" because truth is, she will only get better with therapy. When I learned of your existence I was startled. Shocked actually. I still remember the night. We ran into some friends at a favorite Indian restaurant and the food which I typically loved was disgusting. I knew something was off or was it? Your pregnancy though unexpected was not unwanted. You see, your dad and I have a saying "our hands our full but our hearts are open to more". You were more. More than I ever imagined. More than I ever expected and more than I could ever dream of. You see, you have taught me more about life, about love and about myself than any other person in my life thus far. I am thankful for that. I am also hopeful, that one day you will look back and know that I want to teach you too. So today, at the conclusion of the first week of Autism Awareness which I really hope to change to Autism Acceptance...eventually, I want to tell you my hopes for you. I try to recall where we have been. Where you were, where you went and how you have slowly been returning to us...slower than I would like but there are moments I see glimmers of brilliance and honestly, I want others to see that, not just in you but in all children with autism. I want you to feel loved. Always. I see children left out, they don't have to have special needs to be left out but I know kids who have differences sometimes struggle more. I don't want that for you but I want you to know if and when that happens, I am here. I want you to know like you have taught me, I will teach you to be proud of who you are. You were created to be Seraphina and a piece of Seraphina is a child who battles autism. I want you to find what makes you happy. Currently you are in a place where you script a lot. Right now as I write your dad is getting you ready for bed you are scripting about Daniel Tiger. I am amazed at your mind and how you can watch something ONE time and know it, forwards and backwards. You can use it to tell us how you are feeling but I want you to also learn to talk to us conversationally in your own way. I want to know what YOU like and what is in YOUR mind. So one day, I hope you no longer have to script to be in our world, I hope you can be here in your own words. I want you to feel safe. All parents want that. We want our kids to feel safe. I remember as a child feeling unsafe sometimes and those moments were so scary. I am okay with you finding special people (who are not me or even a part of our family) that make you feel safe. You see, I feel there are people destined to be a part of our lives and make it better. I want you to be successful. Your successful. As a parent, when we carry our babies often we have a dream for our children. Perhaps a parent wants a successful lawyer or doctor or maybe they see themselves with an athlete. I will be the first to say none of my kids have been exactly who I imagined but each of you is incredible in your own way and I want you to find success in whatever you are meant to be or what you are meant to do. As I write this, I realize that I want for you exactly what I want for the other kids. I worry it will be harder for me to give you the tools to get there. I worry that while I struggle to give you those tools that the other kids are missing out and I worry but you see, I still have that tattoo to remind me, I am "enough". As you were created for me, I was created for you and as you walk this path, I will hold your hand. You are too big and too strong to be carried anymore but one day you may need me to pick you up and I will do that. I will also be here happily when you need me and those challenges you face you must know you never face them alone and I am pretty certain there are at least five people behind me who will make that promise to you, we call them your family. So my sweet child, my wish for you is that you can be a child like others, that you can find happiness, that you will have success and you will be loved for who you are not just by me but by other children and families surrounding you and wouldn't life be pretty great if we all had that? I started to write about marriage but honestly, I am not there yet. I can't share what is deep within the walls of our home where our marriage began to crumble until recently when perhaps I changed or perhaps he changed or perhaps we both realized everything we loved about each other was still there and though children and disability may try to come between us, we made a promise and promise we will. So today, I decided I would write about direction and my calling. I have said how I wasn't sure what my calling was until Seraphina and now I am pretty certain, I was chosen to speak out about our journey, to make the path easier for someone else, for anyone else, even if its for one person because knowing you are not alone in this journey with disability. I also think maybe I can make an impact and today I was reminded again, the more I share, the more they care (usually). Today I went to the library with my kiddos. It was story time, something I was a fixture at when my other children were young. Since Seraphina, trips to the library are short lived and often include me grabbing her and running out the door hopeful I don't disturb too many. With a friend by my side, we decided we could brave the stares and glares and get through and in reality, it went well but as I sat and watched I thought, like race or differences, children are not born with the urge to shun. Certainly kids try to gravitate towards others with similarities but in no way do they fear other kids--usually. I sat listening and had thought the librarian wasn't well versed with special needs kids. Later, I learned she had been a teacher and though we varied on opinions of how to deal with kiddos with autism, we had a common goal, to give parents like me a chance to go to the library and enjoy story time in an inclusive environment. During story time today a little girl had stuffed buddies. Serrie asked to borrow them, at first she didn't want to share and then slowly she handed it to her. I thanked mom explaining Seraphina had autism and mom cried because I told her the kindness extended was a gift--it meant something to me and that exchange meant something to her. I believe in general we are a good people. We all want good things for others. I believe that with our voices speaking and sharing others begin to be more than aware, we are all already aware, they become understanding and more accepting. What could we as parents raising this generation of children with disabilities do to pave the way for the next generation of parents raising kids with disabilities and how could that impact tomorrows children and their ease of growing up? As we left the library, I thought it went well and so, I decided to try it...to try going to lunch, yet another little outing I missed with my kids and while we sat and ate, I heard the old comments I used to hear, men commenting on the number of kids I had and hearing those words reminded me of the life I had before and I was met with a peace that yes, this journey is my calling, my opportunity to help the mom that my children or their children may be learn to live in a cohesive environment where we are inclusive. Our world has continued to evolve, we have seen it in generations past and we have the opportunity to impact generations forward. Once upon a time, I was the fun mom...the mom who pulled all the toys out of the garage and slowly watched as children congregated in our yard. There were moms that followed along and sometimes dads too. We would take walks with hands covered in sticky ice cream as the sun set in the neighborhood and though I thought that life was hard, I had no idea. I remember my aunts telling me how easy it was to have little ones and how I would miss those long days where you longed for naps. Recently I caught myself telling a mom with a two year old and a newborn to relish it. She looked at me as if I had three eyes and a couple horns, you know like the devil and I tried to explain. How easy it was not to have to get up for school, even when the kids woke at 5 a.m. you could rearrange schedules and get a nap in for the kids which meant even if I was tired I had a break...and yes, I know I was lucky, I stayed home. Not everyone has that luxury after maternity leave but I did. We made choices to make it work--like no rabbit ears, no cell phones and shopping at Aldi long before shopping at Aldi was cool. Back then though, I was the fun mom, I bought the water toys on sale at Target 90% off the summer before and even though we had Popsicles made out of juice from home, our meager earnings (and I mean MEAGER) still allowed me to have few cares. I found every free event known to man and we had the BEST librarian ever at the Capital Area District Library in Michigan. We packed up. We went. We just did it. Often I did it with other kids in tow. Life was really good and really easy. It never seemed to be a big deal. We grabbed diaper bags, a baby carrier, sometimes a stroller and we went. Concerts, parks, play dates, yards full of toys and kid, parents and grandparents, it was natural and exactly what I imagined as a child when I dreamed up my family of 14 children whose names all began with the letter "K". Today though, I barely have time for "fun" and even planned "fun" takes too much energy. Today was one of those days. Autism changes all that. It changes when you go out, where you go out and how you go out. Simple things, like meeting someone for coffee means that you have to plan and think and hope and even pray that you won't be the family stared at, glared at or even escorted out. You see, I try to put myself in her shoes. First, where are we going? Is it someplace far? Is it loud? What is the temperature there? Should I have extra coats? Blankets? How could she react? Is there food? What food? Will there be things she wants that I need to have that won't have the allergens that impact her? How long will we make it? Will she embarrass the other kids? What if someone talks to her and she responds inappropriately? Do I want to address her disability that day? Could my sharing make it easier for her or even easier for another person who this stranger encounters one day in the future? After trying to address it all, the fun isn't really fun at all anymore. Once we get there, even after all the planning, I stop and I hold my breath. We have been looked at, glared at and even asked to leave on more than one occasion. I have felt the presence of eyes that didn't understand and worse, eyes of those who didn't want to understand and I wondered where did the mom who used to be fun go? Today we met a friend for coffee. It meant a lot. My middle two girls share a love for a favorite teacher, who moved. One diligently writes to her now that she lives in Florida, the other still names her as her top teacher ever and the opportunity to see her presented herself. So we planned to meet. I planned too. I had my phone (yes, I know some look at the devices as babysitters but a 4 year old sitting for an hour is a lot). I had food. Yes, we met for coffee, yes, it was AT Dunkin Donuts I had to have food because her allergies don't allow the food they have there and I had to make sure her siblings hid the fancy donuts they had while she noshed on those frozen ones I pulled out of the freezer from Katz. I also knew that the meeting could be short lived. I knew that I may have to leave them to sit with their amazing teacher inside while I sat outside in the car with her melting. Today however, it went well. She made it and the meltdown didn't begin until we got in the car after she JUMPED in the puddle and got her unicorn boots wet. They all had to come off and though I knew it was pushing it, I forged forward in my errand running carrying her barefoot in the 47 degree rain because that is what she needed at the next stop. You see, the once easy to go, get up and run life we had takes a lot more now and that energy overwhelms me at times because as we finish one outing I begin thinking about the next (Saturday) and that sometimes takes away from being present in the here and now. My kids know the drill now. I used to have to prepare them, to tell them that it may not end well, we may have to leave and it may not be pretty. I know which friends of my kids I can have with us because they get it and often their parents do too. Autism has taken some of the "fun" away and left me with the simple title of "Mom". Sometimes its hard, sometimes it makes me want to cry and sometimes I wish autism never impacted our family at all but then I think about the baby steps. I think about the accomplishments. I think about the small steps that I used to just gloss over and not take notice and realize that even though autism is hard, autism changes things and autism takes things away it also is a reminder of what we had and how good life was. Its also a good reminder for each moment that we do have that goes well that makes an impact and I realize that now the fun isn't what it was but maybe its just a little different and perhaps what we lost has only changed not take the fun away. I've never been enough. In my eyes and in reality as I struggled to be enough, I ran around being enough for everyone who didn't matter. It isn't that these people didn't deserve my time or that they didn't mean something but my entire self-worth depended on others thoughts of me and then, it hit me, this is me. Take it or leave it. Not all will like me but I am here to serve a purpose and that purpose isn't for me. Its for my husband, my children and even my friends and family who surround me but who I am and what I give, its enough. Hopefully my one biological sister won't slap the heck out of me but she told me the phrase last year after we first met. She told me "you are enough" and truth be told it was after a pretty "unpretty" moment. You know the one where you prepare your house and you are so stressed out that when something simple and stupid happens you lose your sh*t and look like an a*#? Yeah, then. That is when she told me. She didn't come to judge my house or my cooking which I spent HOURS worrying about and yes, she knows that...I told her. Honestly. She told me, "YOU are enough". Sadly, her words weren't enough for me to believe it. Months later after another blog a woman who I know who walks a similar path (though her own) told me the same thing. She saw how tired I was, how I was trying to much and how I yearned to be accepted, trying to fill the void and make up for what I felt guilty for, my child's disability and she reminded me coaching teams, volunteering at every event and trying to fit in for the sake of fitting in and having plans over the weekend wouldn't make me happy. I had to choose it. I had to realize that "I was enough" and so I thought about it and a day or two later she sent me a link to a piece of jewelry stating the same. I never ordered it. 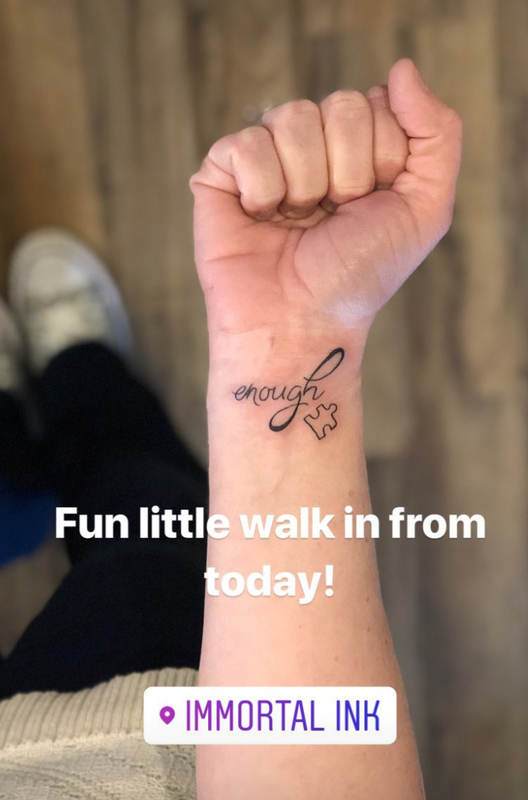 I needed a permanent reminder but honestly, I feared making that step, letting my parents down or being judged and it hit me, everything I was doing was for others, not for me, not for my kids and certainly not to be who I was created to be. I doubted it even more when my child was diagnosed with autism as I sat and watched and my marriage began to fall. I doubted I could please everyone, make everyone happy and be what I needed to be to everyone and everything around me and it clicked. Finally. I am enough. This is me. This is me for good, for bad, in my entirety. This is me doing my best, fighting for my daughter. Winning sometimes. Losing sometimes but NEVER giving up. This is me trying to make it work, to meet the needs of my kids, all of them in school, sports, extra curriculars and be present when they need me. Always, when they need me. This is me being honest in my marriage, letting my husband know we both have work to do and that I will commit to us like I did nearly 16 years ago because I CHOSE to be his partner. I will choose to keep being his partner. Always. For eternity. And so, today, I did it. I intended to wait for my BFF to go but truth be told I had to do it today, for me because I didn't want to chicken out. I didn't want to regret not being present for myself and heck, my husband took me on a day date and what married mother of 5 doesn't like a day date where you talk business trips, house painting and future roofs? It was life, the life we were living. The life we created and the life that was meant for us...and in this life, I am not perfect, I will fail, I will struggle and I will shine but through it all, "I am enough" and I will "give enough" for all those around me for I can only be who I was intended to be. Its April 3, and as I drifted off to sleep last night with the help of melatonin my mind began to race. As the evening winds down and my children head to bed, I begin to think, about all my children but reality is mostly about Seraphina. Why can't I give her the therapies others get? Its not fair. They said "high functioning" at her first appointment, her second diagnosis just said "autism", which is it? What does "high functioning mean to me"? Were children kind to her? I saw that look the one child gave her. She's cute now but what about the future. She won't be cute then. Will people still love her? She had tantrums today was it hunger? Exhaustion? Constipation? Is she getting sick? She can't tell me. How I wish I knew what she felt. April 3, everyone is washing those blue shirts, putting away those pins that let us know that they are aware and I am still keenly aware. I am aware from sun up to sun down and sometimes even in my subconscious. 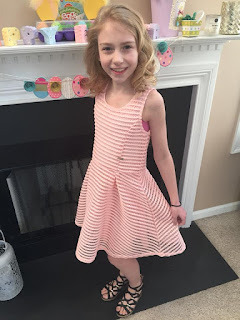 I would be lying if I didn't say that I sometimes DREAM her disability is washed away, that she wakes up and that she is typical like the rest of my kids. I would be lying if I didn't tell you when my one child dealt with sensory processing disorder I *thought* it was as bad as autism. I would be lying if I told you I didn't count my blessings and feel badly for other friends who have children with autism that is more challenging (in some ways), more involved, more debilitating. I wish, like others, I made a donation, went to a couple of events, supported those suffering (yes, we suffer right along side them), wake up, wash my blue clothes and save those puzzle piece shirts for next year but reality is, that isn't my life. As a friend posted yesterday she doesn't want people to be aware. We are all aware. How can we not be aware? Numbers are rising. Girls are being diagnosed at rates so much higher than they once were, teachers are now being hired only if they have special education degrees because honestly, classes are full of kids with different abilities. We don't want you to be aware. We want you to be kind. I want you to be the friend I call when I am sobbing because the melt downs I faced this week were more than they had ever been and I am scared. I am scared about the future and how it will be when she's stronger. I want you to listen, to love me and to love her, even though...even though its tough and sometimes I give you the ugly cry. I want you to support me but more than me, I want you to raise your kids to support my child. I already feel guilty that my other kids may one day be burdened with their sister until they die. I want you to raise your kids to be a supportive community for Seraphina and for all the other kids. I see you giggling, I see you scoffing and your kids see you too. Yes, she spins and its somewhat funny at times, she doesn't get dizzy. I want you to raise your children to be kind to my child and her siblings because their road is not the road I envisioned as I carried them within me and gave birth to them dreaming of all they could be. I want you to know that today, I woke up and Autism Awareness Day is over but I am aware. I am living it. Every day. Some days are good. Some days are magical. Some days make me feel so grateful that I was CHOSEN to be her mother. I was the one that God saw fit to walk by her side, to hold her hand, to carry her, like we have been carried by others. So today, while you wash those shirts and fold them, take a minute, be thankful. Be present and realize that one day isn't enough to be aware, we must change the way we see children who are not neurotypical and we must work to create a world that embraces differences. These aren't just the differences I live with but the differences we all face. So today, its not April 2, its not Autism Awareness Day but today, my child still woke up with autism and I ask you to keep looking for ways to make today better for kids who are different because when we are aware we will change the future for the better...for everyone. I keep starting at the beginning but honestly, the beginning for us was fairly typical and the last couple of years have brought heartache, challenge and triumph. 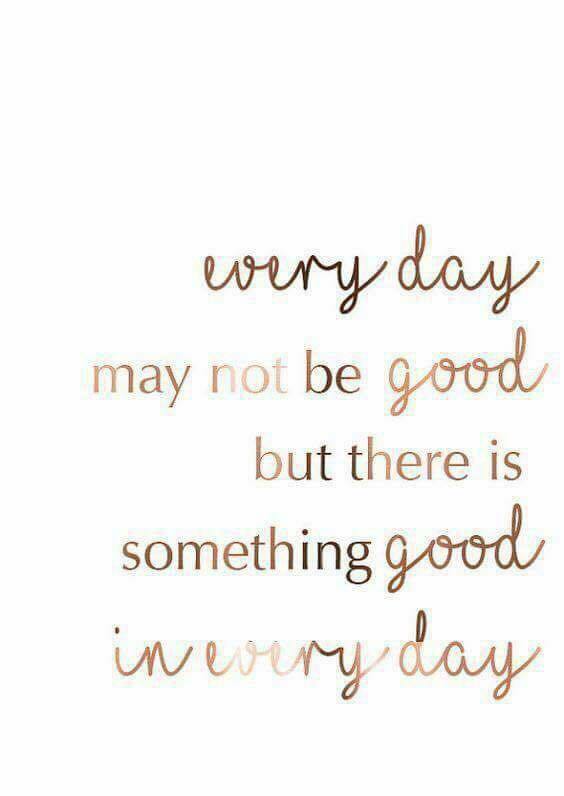 Sometimes those are all wrapped together in one day or even one moment. You see autism has changed me in ways I never expected and it continues to change me. Honestly, I thought I was pretty empathetic, I thought I understood, but reality is, I had no clue. None. Even with a child who lived with sensory processing issues, I had no idea. Today though, I am going to share a little bit about autism through eyes other than my own. Through my children's eyes. Recently I took the time to interview them and take a few notes, its for a book that I pretend I want to write. 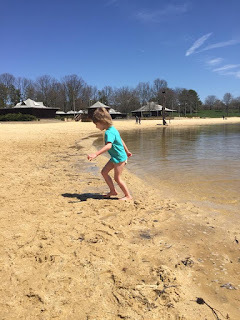 Honestly, I do but every time I sit down I realize I am no expert, I am only an expert on Seraphina's autism and heck, she changes each day and so therefore I don't think I will ever stop learning but today, I share my children's thoughts. When Seraphina was first diagnosed I was angry. It was one more thing we didn't need in our lives. I was angry at her because it meant more work and more work for mom meant less time for us. It signified that mom and dad would have to take more time to care for her than a typical child and that just wasn't fair. As we furthered our lives in the journey I realized that her disability helped with our own patience. It allowed me to find good qualities about Seraphina. She's funny and she makes us laugh often when things are tough or difficult. She shares Seraphina's diagnosis has allowed her to realize that she used to judge others more but now, she is accepting of everyone. She realizes this is a gift. Though she isn't sure she would change Seraphina and her diagnosis, she recognizes that this journey has changed her. She used to be embarrassed by Seraphina and worry how others would view us but now understands that autism helps you to see the best in people and those that don't get it, they don't deserve our time. Cecily didn't really know what autism was when we first shared Seraphina's diagnosis but knew that it wasn't good. She wasn't scared by the diagnosis but said she always knew Seraphina was different. She thought it was weird how she screamed a lot and didn't talk. Today she realizes that a lot has changed in our life. We are on a new journey that is both good and bad. She also understands we must go through this together. As a family. She worries a lot about Seraphina. She said at school when she hears her sister upset she can't think and she feels she knows more than others at school on how to help her and wishes that she could go help her and when she can't she feels angry. She notes that autism impacts our entire family and that it is both a challenge and a blessing. 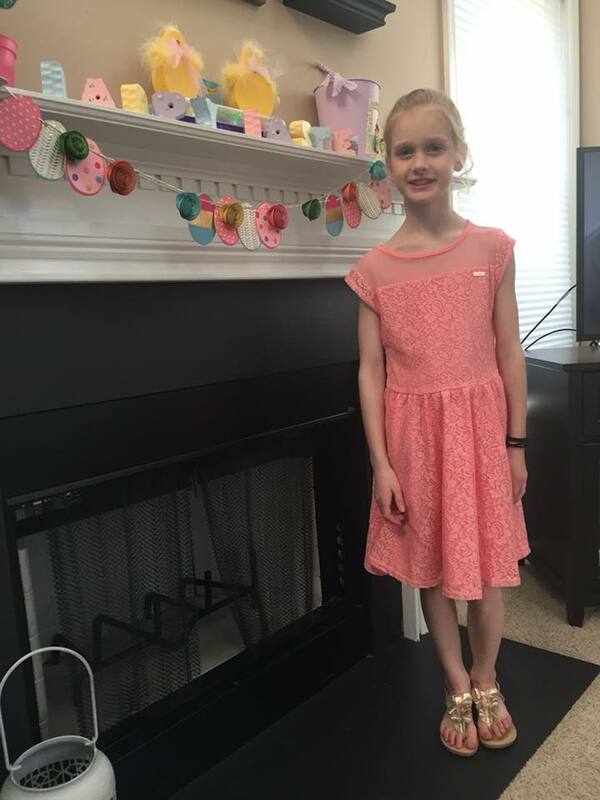 She says that sometimes autism is really hard, when mom and dad can't both be at events because Seraphina can't tolerate it. Overall she says she loves Seraphina and understands that she experiences things and understands life differently and really wishes that Seraphina was a better listener. Felicity is our rainbow baby, and rainbow she is. She is constantly happy, even at 5 a.m. unless she's getting sick. She is my most sincere, she worries most about things and is truly a gift. Felicity is our "little therapist". She has helped me countless times when I need a few minutes to shower or grab a few minutes of peace when Seraphina is having a hard day. Felicity has to try the hardest in school but does so without complaint. She's also our most natural athlete who refuses to give up even when things get tough. When interviewed I realized that she is probably most like me. Here is what she had to say. When we first learned that Seraphina had autism, it was really confusing. I thought it was a sickness and I really was worried I would get it too. After a while I realized that I wasn't going to "catch" autism and it became apparent that it wasn't going away. I realized then that it was hard to adjust to because Seraphina needs SO MUCH MORE attention. She thinks life is better because of Seraphina's autism because its teaching us now more about differences and how to help others. She also feels that it is making her a better person and teaching her patience. She loves Seraphina very much because she is special. She wishes that she didn't scream so much and also wishes she knew exactly what she is thinking but hopes the more we work with her the more we will understand her and maybe help us to understand others with autism too. Finally, I will share the interview with Seraphina's special person. Its hard to say it but she loves him best. He is HER person. When she is scared, she wants him. When she needs comfort, she wants him. Her brother, just two years older is the one she truly goes to whenever she needs something because she knows he will get it for her and usually he does. I would love to post a picture of Jude in his Easter clothes too but for those who know Jude, he was being Jude and yes, I will post his Easter pics later just for a good giggle. I often joke that God saw things going to well so he gave me Jude. Jude was the BEST baby ever who literally just went with the flow. Since he turned three though he has given me a run for my money and teaches me so much in each daily interaction with him. Jude is not a "boys boy". He likes fishing, camping, hiking and the great outdoors. He's a perfectionist and if he's not perfect he doesn't want to do it. He's bright. He's unique and incredibly sensitive. He struggles like his momma with anxiety BUT is the BEST big brother ever for his sweet Seraphina. When interviewed it was apparent to me how unique this boy is and I think you will find the same. 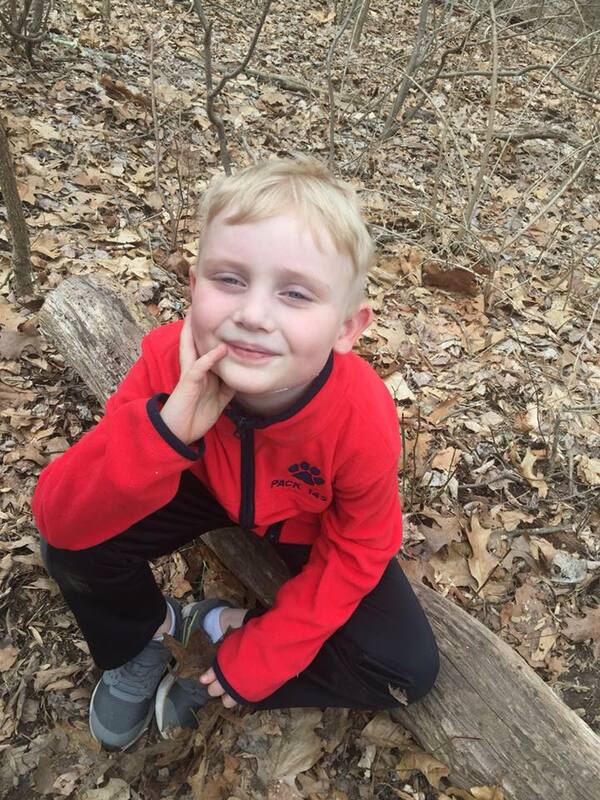 Jude felt happy that Seraphina was diagnosed with autism because it meant that he used to have so much time to do nothing and now had a purpose. He had to take care of Seraphina. He also felt that her diagnosis not only made her special but him too because it makes him different from other kids. Not everyone is "lucky enough" to have a sibling with a disability. It makes him happy to be her brother because she is happy and loving and always wants to cuddle. He also knows that he will always have a purpose because she will need to be protected EVERY DAY OF HER LIFE! He feels that autism has made him a better boy because he knows how to take care of a child with a disability. So my friends, this is autism. Its everything. Its ups, its downs, its smiles and tears. Autism is life with a little extra. As I was once told, I am a parent, just like you but I am a parent with a child who has extra needs. As we move into April, I ask that we all find the blessings in having children who are different in our lives. I would love to hear how autism has changed your life for the better. Although its been a challenge for me, I wouldn't take the journey away from our family because reality is, this journey is being lead by the sweetest girl God ever did make.